After Voice of San Diego revealed SDPD's practice of taking DNA samples from minors without convictions, Assemblywoman Lorena Gonzalez Fletcher has sponsored legislation to ban the practice. It's already illegal to collect DNA from minors without parental consent, a warrant or criminal conviction. But SDPD has argued that's only if they send the DNA to state or national databases. Assemblywoman Lorena Gonzalez Fletcher introduced a bill last week targeting the San Diego Police Department policy that lets officers collect DNA from minors without the knowledge or consent of a parent or guardian. The policy, privacy rights advocates argue, doesn’t jibe with state law, which strictly limits when police can obtain a DNA sample from a minor. Absent a warrant or court order, only minors who’ve been found guilty of a felony or sexual offense must provide a sample. The San Diego Police Department, though, believes it can collect DNA from a minor for “investigative purposes” — and without parental notification or consent — as long as the sample remains in a local database that isn’t linked to state or federal DNA databases. Gonzalez Fletcher’s bill would require police to obtain a court order, search warrant, or the written consent of both the minor and the minor’s parent or guardian before DNA can be collected. 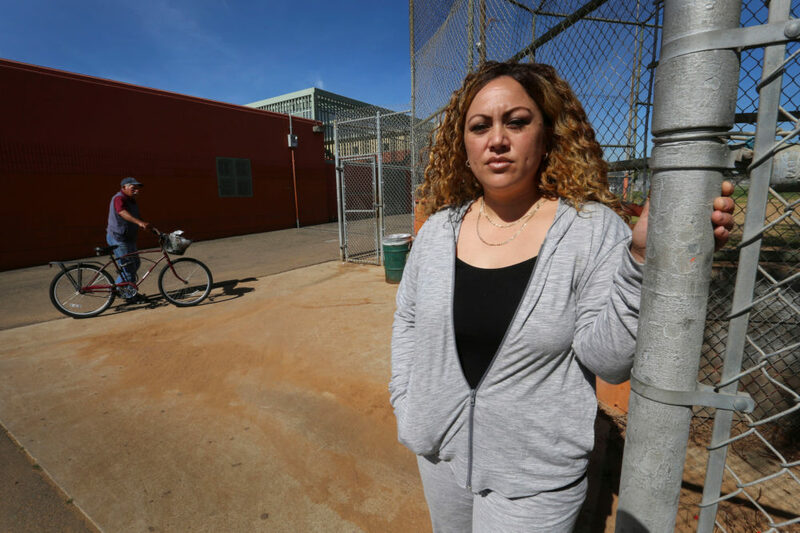 Voice of San Diego’s reporting prompted the bill, Gonzalez said, after a story about a group of black teens who were detained by police after a basketball game at the Memorial Park rec center, which is in Gonzalez Fletcher’s district. Police searched the boys and swabbed each of their mouths for DNA after the search turned up an unloaded gun in one of the boy’s duffel bags. The gun was registered to another boy’s father. Prior to his arrest, P.D. had no criminal record and had never been involved with a gang. None of the boys he was with had a criminal record or gang affiliation. Gonzalez Fletcher said she thought about her own teenage son, who hangs out at the rec center. She sees the bill as part of a larger push to protect the rights of minors during interactions with law enforcement. She pointed to a law passed last year, SB 395, that bars police from asking a child 15 or younger to waive his Miranda rights. Gonzalez Fletcher said from what she’s heard from other legislators, the San Diego Police Department’s DNA collection policy appears to be unique to San Diego. The Assembly’s public safety committee will vote on the bill, AB 1584, today. Gonzalez Fletcher said she’s not anticipating opposition. It’s unknown how many DNA samples San Diego police have collected from juveniles. A department spokeswoman said they don’t track that information. Bardis Valkili, the lead attorney in the ACLU lawsuit, said his organization hasn’t yet taken a formal position on AB 1584, since they only just found out about it last week.